The best part of being a coach and a mom is getting to set my own working hours. The bummer bit? That niggling feeling that there never seems to be enough hours in the day to do all that I want to do. If I had all the time in the world I would write more, create more videos, record more podcasts, take on more clients… And there would be oodles of time left over to be that granny-style mama lurking not too far under the surface (granny chic!). Granny-style meaning seeing myself canning homemade jams, making quilts to cover all that dog hair on the sofa and spending our days at the beach with tons of sunscreen and a pair of granny glasses yelling at the kids to put more sunscreen on themselves. I can’t do it all and that this feeling of not having enough time to is a Universal one. Not just one exclusive to moms. But lucky for us, Mamas have been gifted the superpower of creativity. Yes. The same one that helped create both a human AND a placenta. We can do the same thing with time. And how much time is that? 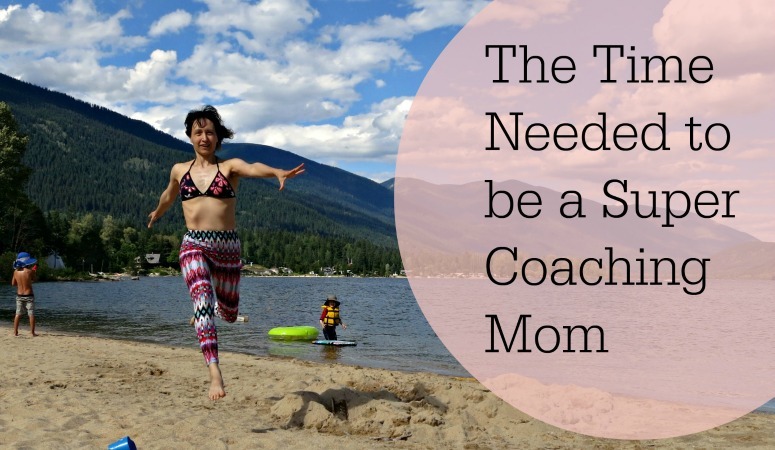 Depending on what stage of the coaching game you’re in, sometimes just little extra is all you need to whip up a work from home lifestyle of your dreams. In this stage of the game, you’re just beginning to daydream what a typical day of coaching might look like, researching training options or talking with established coaches to see what it’s really like and if it’s an arena you would even be interested in. I love this part. 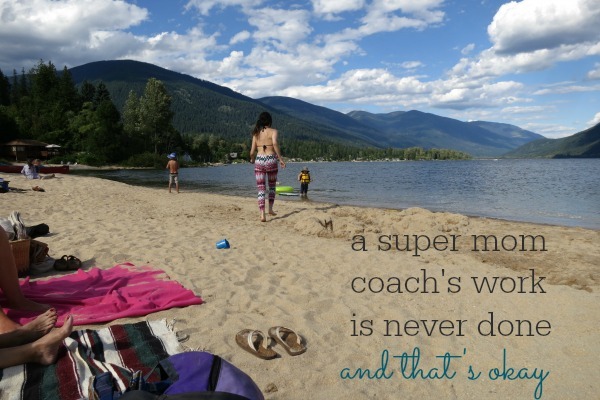 You, my budding coaching mama, get to daydream, make lists, journal, read books by coaches you admire, call up friends or those you follow online who coach for a Skype or real life coffee date. Or maybe the dreamy bit is actually going for it signing up for coaching yourself to experience the process a little more deeply yourself. At this stage, you’ve adorably plugged your nose with one hand and decided to dive right in. Come on in. The water’s fine. Here you’ve decided to either go the official training route and dive straight into your studies, online assignments, and practice sessions or, because you have the experience and confidence to help others in your area of specialty right now, straight into declaring and marketing your coaching service and are taking on your first few clients. 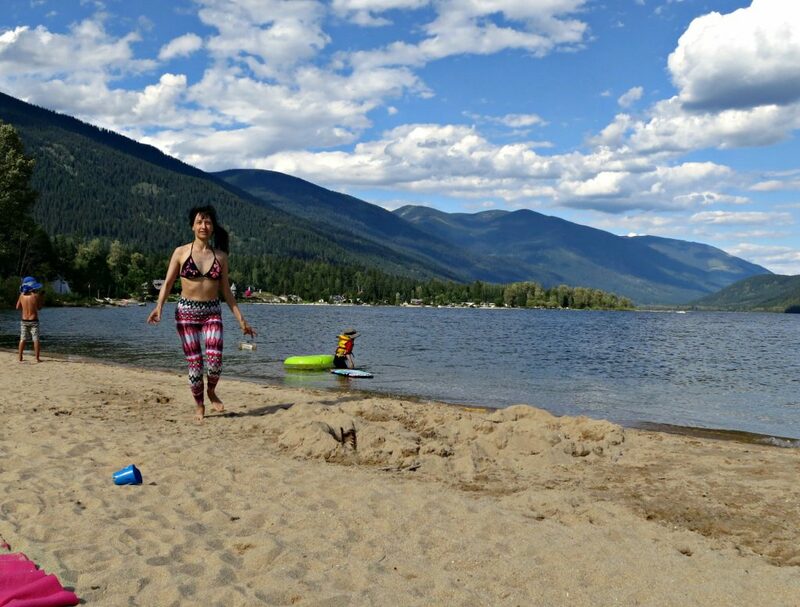 This phase you can be as busy or as part time as you like depending on your coaching income goals, the current needs of your family and what parenting season you’re in and the exploratory nature of this path for you (like my husband Craig taking yoga teacher training – that was a self-development move as oppose to a new career path for him). Reverse engineer (how I love this saying because Craig’s an engineer and I’m usually the reverse of whatever he is) how many clients you’ll need to meet your dream (for you ) income goals. Then consider a life coach typically charges out around $50 to $100 per session when first starting out. You’ll be needing about five clients a week to meet this monthly goal. To avoid burnout you’ll also want to decide if you need to take on fewer clients and incorporate extra income streams such as live workshops, ecourses, or group coaching offerings. There’s only one of you to go around mama and your hours, no matter how creative we get here in a minute to make more of them, are limited. 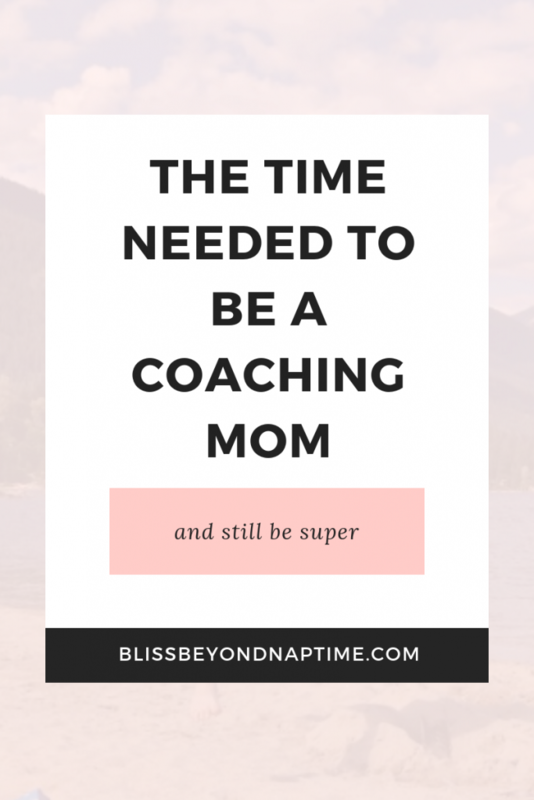 Factor in that same amount of hours to spend on income stream project creation as well as marketing (aka spreading the word about all the awesomeness your coaching prowess has to offer to ideal mamas out there). These sorts of activities include blog writing, guest posting,? getting interviewed on podcasts, talking to potential clients and good old fashioned hustle. It sounds like a lot, and it is, but it’s so much fun, never boring and offers a lifestyle rich in epiphanies, deep observations, and intrinsic rewards. But it takes time. And the more focused time you can afford to put into this calling the quicker you’ll gain traction and find yourself serving the mamas you were put on this earth to help. This is my greatest take away from Waldorf-inspired homeschooling: rhythm is nurturing, healing and a busy Mama’s best friend. Begin with the pulse points: wake up times, meal times, outdoor time and bedtimes. Begin here with writing down if it helps what time these pulse points to the day are going to happen and stick with it. Then pay attention to where your natural energy levels reveal pockets of prime time to work. For sure I’m an early bird. I’ve always been able to get up a couple of hours before the kids wake up no problem. But come bedtime my brain is mush. That’s connection time with Craig. Lucky for us he seems to prefer hanging out with the mushy-brained Kathy. After you have a more defined rhythm of the day laid out, your energy levels establishing, you can begin claiming and defending like the mama bear you are your times to work here and there throughout the week. Little bits of time chunks add up quickly. Ten minutes to wait while spaghetti gets al-dente? After safety-first type considerations, these are pockets of time I like to steal for short and quick tasks like answering pending emails, clear off my desk, consolidate the week’s expenses. Ten minutes are all I want to spend on these sorts of tasks anyway. Taking the kids to the park? Bring your coaching training homework along with you to work on while the kids venture off on their own (it’s good for them not to have Mama watching/spotting the whole time. Personally, my nerves can barely take it watching the jungle gym action and it’s a good reprieve from helicopter parenting). Set the kids up with a special toy box that only comes out at designated ‘quiet time’. Keep interesting stuff in there to keep them delighted while Mama puts the timer on for 30 minutes for focused work. How might you find yourself some extra childcare for even one hour a week? Have a brainstorming session with your partner and maybe trade one morning a week to watch the kids while the other does whatever his or her heart is called to do. I have Saturdays to work in the mornings and usually in the afternoon I just ‘bum around’ (doing nothing or something fun in town). Sundays Craig usually takes off on some mountain adventure. I love being a muse-d! Hold someone in your heart-centered business heart that’s where you want to be in a couple of years from now and holds a business model that echoes your values and ideal work set up in that time frame. 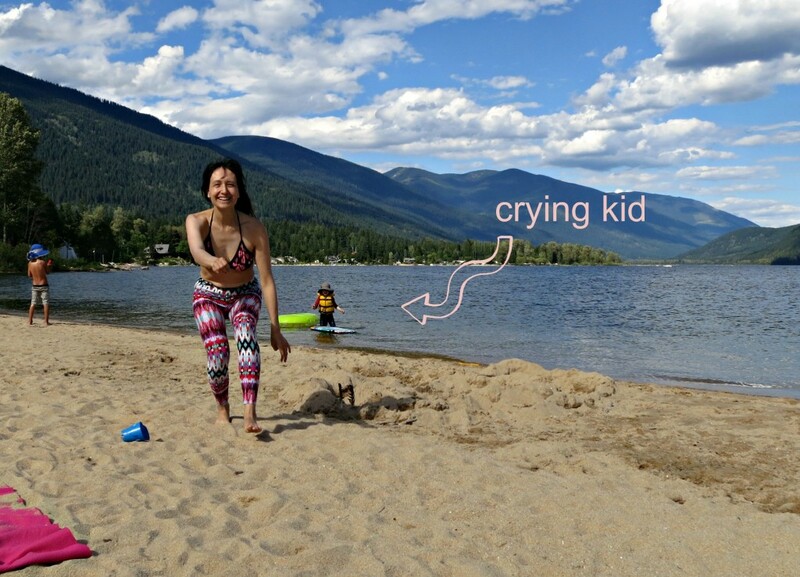 Maybe she’s the mama that’s only working twenty hours a week, has her sense of humor and playfulness intact and raking in way past six figures. Read up on any of their time management secrets that they share, participate in the ecourses they might offer (and you will implement on) or simply a-muse yourself when you’re feeling your losing control of your a-muse yourself when you’re feeling your losing control of your time, “what would *muse* do”? 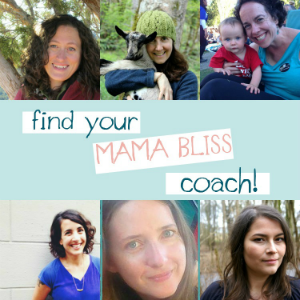 One of the Mama Bliss Coaching tools I teach my mamas in Mama Bliss Coaching School , The Vent Tunnel, has been a personal huge time maker for me. Come. Step into my tunnel ‘o vent. Put a timer on for three minutes, grab a blank sheet of paper and write down all the ways you find yourself farting around with when you find yourself with free time to spare. Think, hmmm… oh! Facebook! Or watching puppy videos on Youtube. Any sort of busy work that’s not serving your immediate goals of either dreaming, launching or sustaining your coaching business. How do you procrastinate? What activities are you noticing your spending the bulk of your time on now that you can either cease or tone down already? Allow the thoughts to come and when the timer beeps, pick out the three most detrimental ones to your precious mama time now and star these. Now ask yourself: what might work to stop the time wasting insanity? What might you need to remind yourself of to get into the focused headspace and create the time rather than waste it? How could you simplify meal planning and preparation, wake up and bedtime rituals and outside of the home activities? What works for me is to remember that the time I spend on the computer is precious time I’m not spending on my kids or tending to my self-care needs. And saving house cleaning things for when the kids get home from school. They actually like helping. They seriously never cease to surprise us. Remember to a-muse yourself (nod to point number three)! Here we’re going to integrate all these little insights from the reminders from above. Because, you have all this time creation ability within, you just need to remind yourself and the best way that works for me is with visuals. And a written schedule to post on the wall in front of you to gaze at every day will see to it you remember that you have time to play and establish a home business. I love three-month chunks. It’s not too far off in the distant future that you can’t imagine what your family’s life is going to look like but far enough that you can get set some serious experimenting in to see what times of day are most conducive for you in this particular season of your life, what’s working and what’s not. Begin with the mindset that it’s game time (but a fun game time, of course) and we’re either in business or in the business of exploring business. 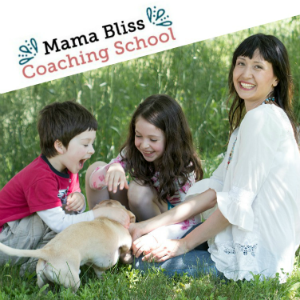 Approach this work schedule creating with playfulness, curiosity but also a mama bear protectiveness when it comes to guarding the time you have just created. Firm but loving boundaries. Rawr.